Embracing the best that the popular coastal town Hikkadua has to offer, the Hikka Tranz by Cinnamon has an unforgettably fun and friendly vibe. Sounds of waves lapping will be the soundtrack to your holiday, with a superb beach located just in front of this lavish resort. A refreshing early morning dip makes the perfect start to a day of Sri Lankan adventures. Featuring quirky designs throughout the property, Hikka Tranz celebrates the music and arts of the area with lively murals brightening the walls. Hikkadua is known for its lively nightlife, and the hotel aims to give you a luxurious base to rest and recuperate the following day. Relax by the pool with the invigorating sea breeze, or book yourself a spa treatment that’s sure to revitalise you inside and out. When it’s time to eat, there’s an eclectic choice of menus. With three restaurants, and a mix of buffet style and a la carte dining, you could be devouring a succulent steak one evening, and a specialist Sri Lankan curry the next. Wash it all down with a freshly made cocktail at sunset, and you’ll be living the luxury holiday dream. 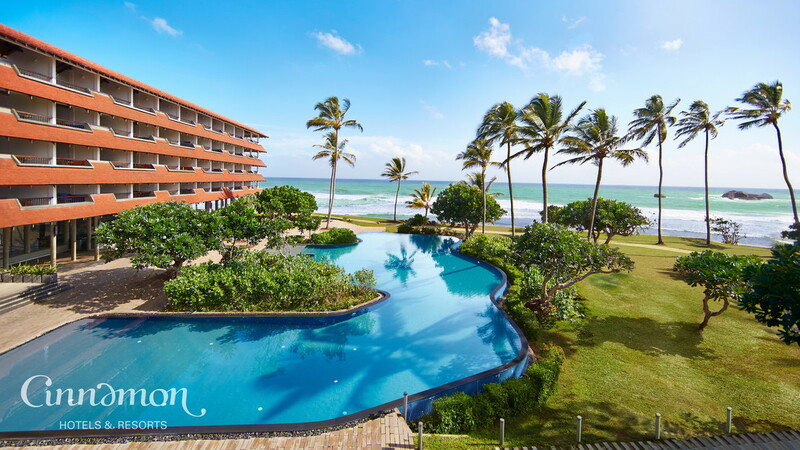 Hikka Tranz is located right on the silky soft sands of Hikkaduwa beach, so you’re never more than 50 metres away from the sea. Hikkaduwa is a popular area with tourists from around the world, and is known for its vibrant nightlife. If you fancy venturing out, you’ll find restaurants and bars within a 5-minute walk, and more as you keep walking along the coast. The historic city of Galle is within easy reach of Hikka Tranz, just 20km away. This area of Sri Lanka is a great destination for seeing some wonderful wildlife. The hotel can provide a number of experiences and excursions during your stay, including whale watching (October to April), diving and nature walks amongst many others. Colombo’s Bandaranaike International Airport is 146km away from Hikka Tranz hotel. If you’re looking to really spoil yourself on your holiday to Sri Lanka, the Corner Suites at Hikka Tranz offer something very special. As the title suggests, they’re based on the corners of the resort, so enjoy panoramic views of the area and have oodles of space. The large living and dining area, and the bedroom have plush furnishings for a superbly comfortable stay. Not forgetting the private Jacuzzi in the bathroom, which adds a real touch of luxury. The whole family can relax together in these wonderfully spacious Suites. Featuring a separate living area with the benefit of a kitchenette, it's easy to prepare snacks and drinks during your holiday. In the bathroom you’ll find a bathtub and a shower cubicle, and there’s an extensive balcony with space for you all to chill out. At bedtime, there’s a master bedroom with a king-sized bed and an attached Superior Room, so everyone will get a good night’s sleep. Featuring a chic bohemian design, combined with luxuriously comfortable furnishings, these colourful rooms at Hikka Tranz are a real treat. The extra space allows for a table and chairs, and there’s a dresser - perfect for getting ready to go out! 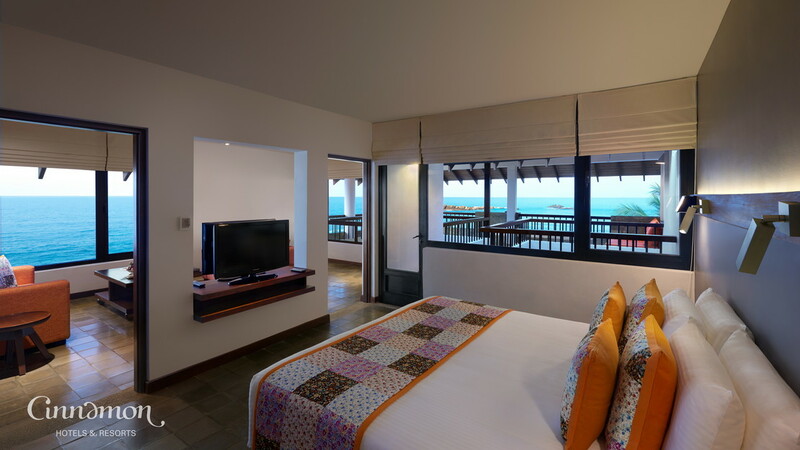 Enjoy magical Sri Lankan sunsets from the comfort of your large balcony, and at the end of the day rest your head in the blissful king-size bed. Decorated with vibrant colours and traditional Cheeththa prints, these unique rooms offer a superb space to call your own during your Sri Lanka holiday. Sink into the king-sized or twin beds, for a heavenly night's sleep, and refresh in the modern en-suite bathroom. The extensive balcony has magnificent sea views, and is a superbly comfy place to enjoy a morning cuppa. Hikka Tranz Hotel’s main restaurant is the centre of the action in the resort. Offering irresistible buffet meals, filled with a colourful array of delicately spiced Sri Lankan specialities, alongside a spread of international favourites. There’s an indoor and outdoor dining area, so you can take your pick depending on your preference. For a meaty fix, the menu at this steak and kebab house is the perfect place to satisfy your craving. Seven types of succulent steak, racks of lamb, and tandoori chicken kebabs are just some of the highlights. Open for lunch and dinner, this is a popular choice at Hikka Tranz. Fresh seafood dishes are the stars of the a la carte menu at The Crab. This restaurant is perfectly situated by the ocean, with the sea breeze adding a refreshing ambience while you dine on speciality dishes. The chefs create their spicy delights in a show cooking kitchen, so you can see the magic as it happens. Reservations are recommended.